This week you’ll learn about a loan that can help you buy a home and renovate it as well. It’s an affordable mortgage option out there that you should know about! Maybe you’ve seen a home that you love but it was more fixer-upper than move-in-ready. Dated kitchen, no central A/C or no open floor plan … but a location you just love. Don’t cross it off your list! Whether you envision of big renovation or something on a smaller scare, there is a way to finance it. This 203k loan is a great option for those of you who don’t have a lot of cash and want to buy a home that needs work. There are two types of loans offered: a Standard 203k and a Streamlined 203k (for projects that cost $35,000 or less). Remember that these loans can take time, with lots of preplanning and required paperwork, so make sure you know what you’re getting into first. But it will be worth it once you own the home you love (or will love even more once the work is done!). That total acquisition cost is what your mortgage will be based on. The overall loan cannot exceed 110% of the after-improved value of the home. Also, the required down payment is 3.5% of the total acquisition cost. There are several other charges that will be added to the renovation costs and included in the acquisition cost. In addition to the contractor’s work estimate, a 10‐20% contingency reserve is required. In addition to the contingency reserve, inspection fees, title updates, permits and consultant fees must all be included. After your closing, the total funds required for the renovations are held in an escrow account by the bank and are released as the work is completed. Any funds left over are used to reduce the principal balance. 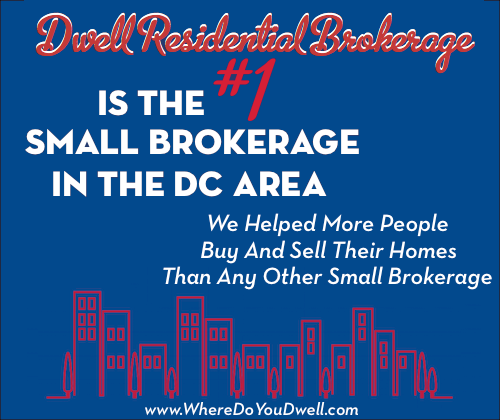 You can choose a single family, townhome, or condo unit (condos need to be FHA approved). You can buy a duplex or even a four-family dwelling if you want to convert to a single-family home. Once you see a home you like, you would write an offer just like you would on any other home. Just be sure to indicate you will be using a 203k loan for financing. Both your real estate agent and mortgage lender should be familiar with dealing with a 203k loan so that your pre-qualification, purchase offer and closing process go smoothly. 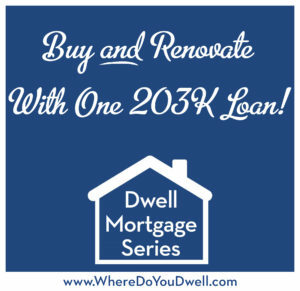 The 203k loan covers a wide range of repairs: Major jobs — a kitchen remodel, new roof, adding a second story, a complete teardown— and more cosmetic upgrades — replacing carpeting, new windows or new deck. The extensive list also covers repairs for termite damage, mold problems and other safety issues. And if the home doesn’t have air conditioning, don’t worry, this loan will cover it. Even energy conservation improvements such as insulation or new energy efficient appliances are eligible. Find a highly qualified 203k lender. You’ll need to get prequalified to see how much you can borrow. You should be interviewing contractors during this time to find a reputable business to work with you. It’s recommended to have your contractor ready to go and already approved by your 203k lender so that you can bid on a home quickly. Once you make an offer on a home, you’ll get a ratified contract allowing 45-60 days for settlement to allow you to finalize renovation estimates with an approved contractor. That way your lender can approve you for the higher loan amount. You’ll meet with a HUD consultant for a feasibility study. This person will write up the job spec and bid request to be sent to your lender. This consultant’s fees can be included in the loan. For this bid or job report, you’ll need to provide an itemized list of all the work to be done with a cost estimate for each item. It includes a site plan and architectural exhibits. Once received, the lender will have an FHA appraiser determine the expected market value of your home after the work is completed. Once the loan is approved with the final amount and you close on the home, the contractor has 30 days to begin work with a maximum time frame of 6 months. A HUD consultant will inspect the work as it is completed and will let the bank know when to release the funds each time to your contractor. The 203k streamline version is a simplified version of the Standard 203k. It can be used for renovations that don’t exceed $35,000 including contingency, inspection and title update requirements. The streamline is perfect for smaller projects that do not include any major remodeling. A 203K loan is a perfect option if you think your dream home is beyond reach. We can answer any questions you may have and help get you set up so this can be a good mortgage option for you. Next week in our How to Get the Best Mortgage Series, you’ll learn all about private mortgage insurance and why you should or shouldn’t avoid it!